Even though my previous attempt at planning my wardrobe for the upcoming season was only mildly succesful, at the start of spring, I decided to give it another go. 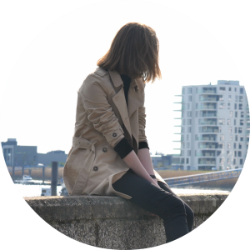 This time I gave myself a little more wiggle room: apart from my carefully compiled wishlist, I allowed myself to buy a maximum of three other garments that I hadn't defined beforehand. Over the course of spring and summer I purchased all but one of my planned items, and limited my unplanned items to a minimum. Just like at the end of last season, I'm evaluating all of my purchases one last time before I start planning for the upcoming season. Levi's Wedgie Fit jeans - My first purchase off the wishlist and a breath of fresh air in my denim collection. I won't talk about these too much here since I already wrote a lengthy review about them, but I got a lot of wear out of them and am looking forward to wearing these in the colder months as well. Uniqlo white linen shirt - This one also came home with me on the day I bought the jeans. It's not a super exciting purchase, but all the more versatile, and a great way of protecting myself from the sun on hot days in Barcelona. Asos Reclaimed Vintage neckerchiefs - I planned on getting one or two, but ended up getting all three of them. At first I felt a bit guilty, but they are vintage and I have worn every one of them A LOT, so no harm done. 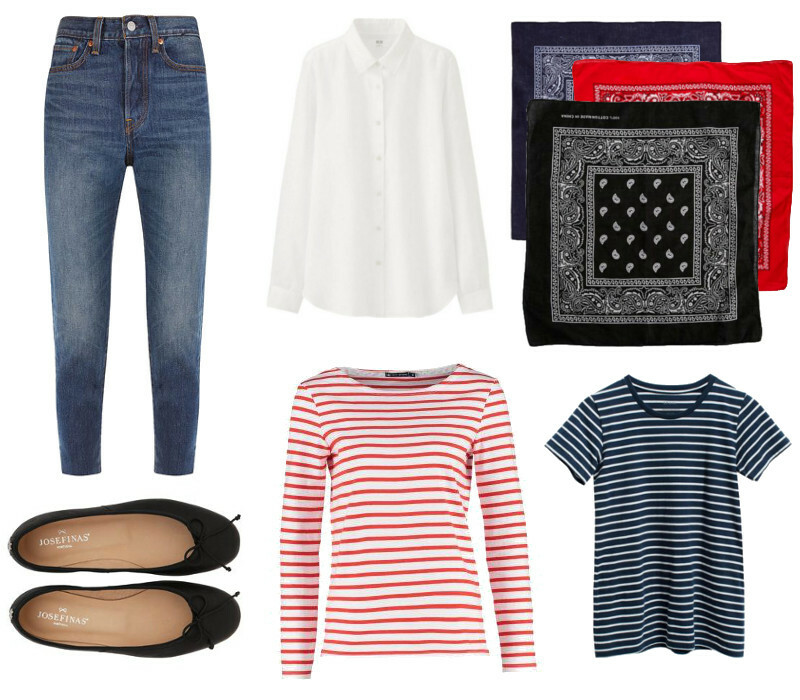 Petit Bateau red breton jumper - The only thing on this list that I haven't worn all that much, but not because I don't like it. 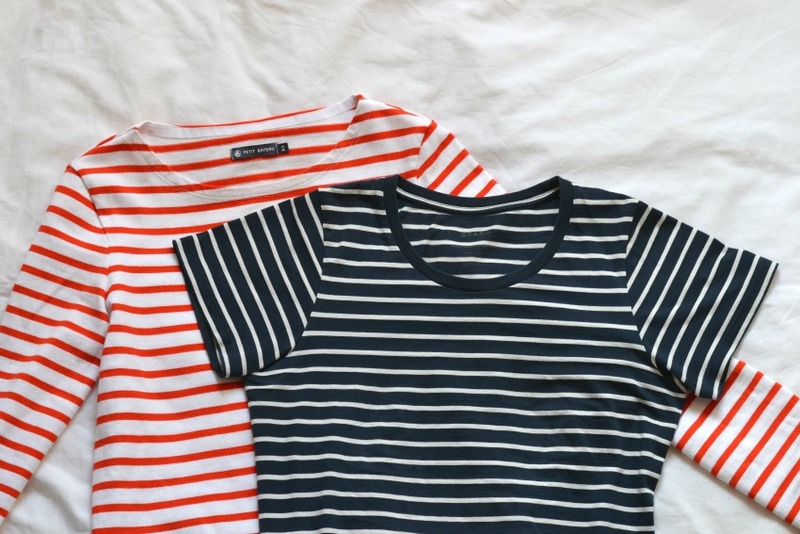 I was looking for a striped longsleeve I could wear with a pair of shorts, but when I tried this on at Petit Bateau, I found out that the cotton jersey was very densely knit. Definitely too heavy to wear on a hot day, but I still decided to take it home, since it would be ideal to throw on on a rainy day or cooler night. Since we haven't had many of those, I have only worn this a handful of times. It's perfect for transitional weather though, so I'm sure it will get the wear it deserves. Next year I might be on the lookout for a lighter version. Grana navy striped T-shirt - I wasn't too sure about the exact T-shirt I used on my wishlist since I preferred navy over black and the brand and price gave me the impression that the quality might not be up to par. Fortunatly, I remembered this brand called Grana who claim to provide high quality at low prices using a strategy similar to Everlane's. And sure enough, their version of the striped T-shirt feels soft but in no way flimsy and fits the way I want it to. Josefinas ballet flats - The only thing I bought that was not on the list. My last pair of ballet flats dated back to my teenage years but the idea of getting a new pair had been growing on me for a couple of months until I finally decided to order these. I am very satisfied with how they turned out and I will post a review after I have subjected them to a bit more wear. The colour palette was consistent (and - coincidentally - very French) and I never had to compromise on fits an fabrics so all in all, I can look back on a succesful edition of the seasonal wishlist. The avarcas are still on my mind though, so they might make an appearance again on next year's list. We'll see. Plans for the upcoming autumn/winter season will be up soon!